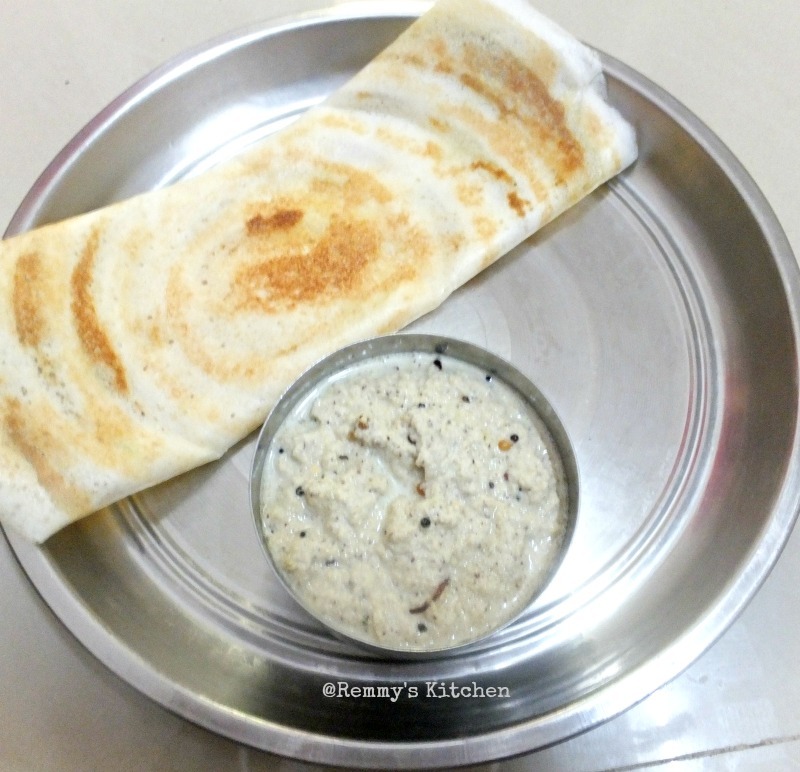 My hubby loves to take idly and dosa with chutneys.I used to prepare coconut chutneys with green chillies and dry red chillies.When my kid started loving hotel style chutneys I started trying that too.Hotel style white coconut chutney is a super hit in our home now :) i will post it soon. 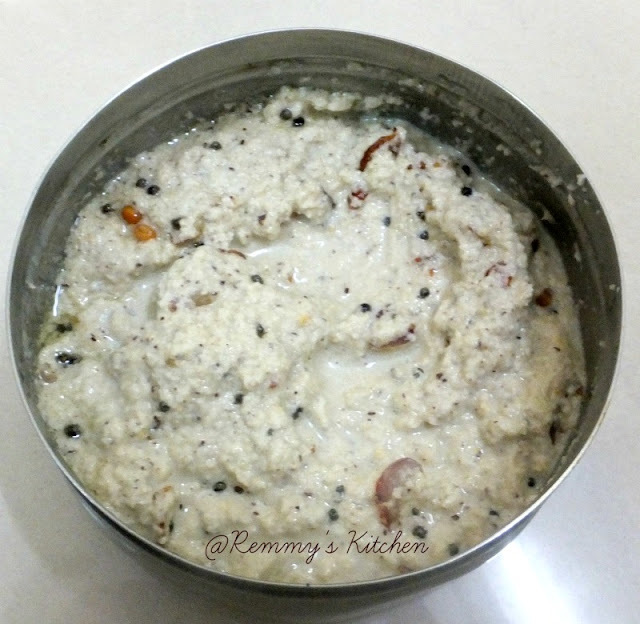 One day my hubby bought methu vadai/ uzhunnu vada with chutney from a small shop near to my home.That day itself I started loving that chutney and searched for recipe .finally I asked to the shop owner about the white coconut chutney he served.He laughed and told me that it is a mixed chutney of both thengai and pottukadalai. 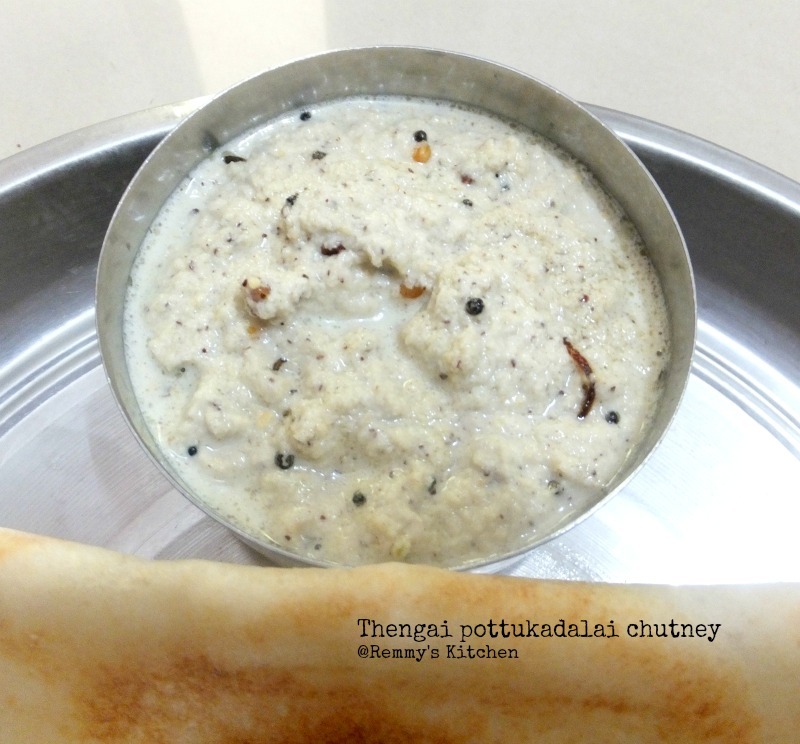 Next day I tried his version of chutney and it came superb..Believe me if you need an escape from normal thengai chutney try this and Im sure you will enjoy. Combination of fried gram and coconut will give thick chutney and if you love pouring type add more water/ milk.I love thick chutney so used very little amount of milk to grind. Grind pottukadalai , coconut,green chilly , ginger and small onion together with salt. Make it in to a fine paste .If required add 1 to 2 table spoon of water or milk. Add in mustard and let it splutter. Now add in urad dal curry leaves and chopped onion.If oyu are adding onion while grinding you may skip chooped onions. Pour the seasoning to the ground paste and mix it well. Delicious chutney is ready to serve. Add sambar vengayam / small onion while grinding or while tempering.I love to use it while grinding and tempering. I didn't add curry leaves it was out of stock that time. After grinding don't heat the ground paste.Try to pour the seasoning to the ground paste.Other wise chutney will not get correct consistency and taste. I think I am the weird one. I would love this chutney with rice. My all time fav it has to be as well.